Sometimes I like to serve something different to sausage and mash, but in a family where they are all wary of anything different it is quite a challenge. This disappeared of the table so quickly it became an instant hit. 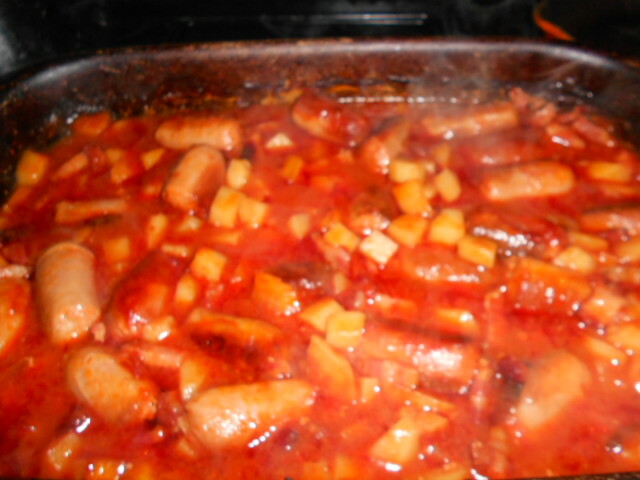 I use cheap pork sausages, sometimes the thin ones so they all seem to be getting more. I use a roasting dish to make this one but a casserole dish or even the slow cooker would work as well. 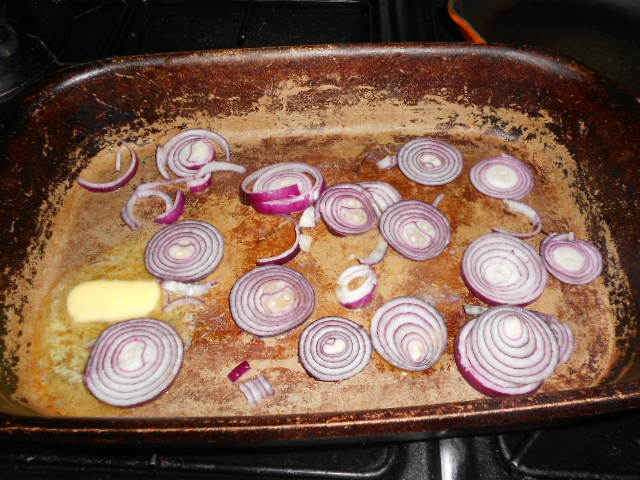 Melt the butter and add the onions cooking in a high heat, for about 5 minutes. Watch them, stir if necessary. 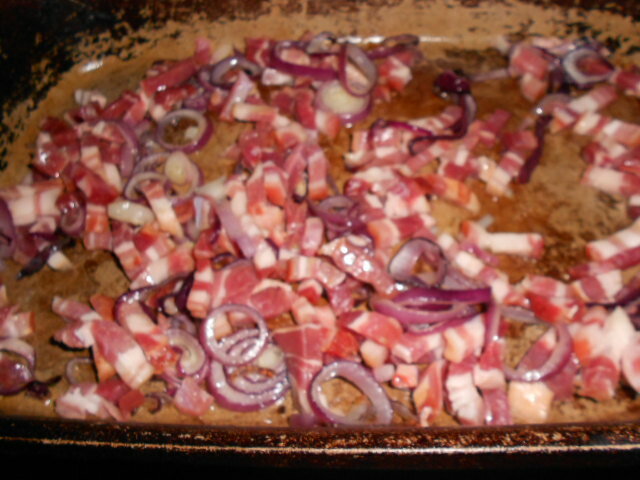 Add the bacon lardons and a good sprinkling of brown sugar. 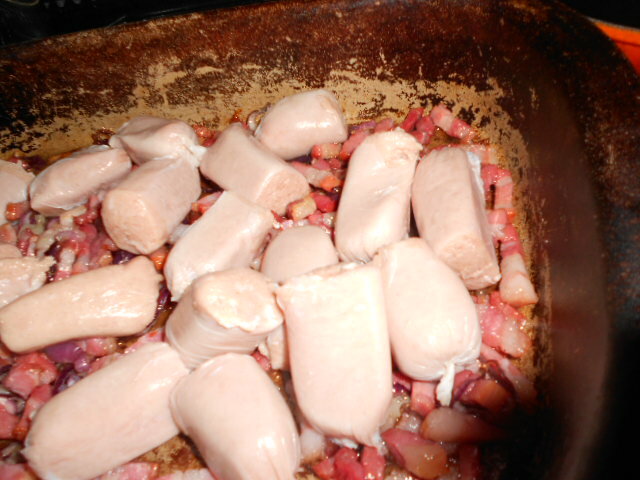 Give these about 10 minutes before adding the sausages and allowing them to brown slightly. 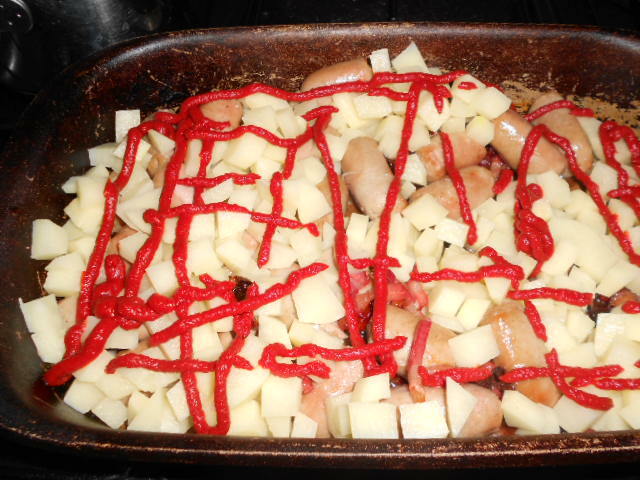 Add the diced potatoes, tomato puree and the chicken stock making sure the stock covers everything. 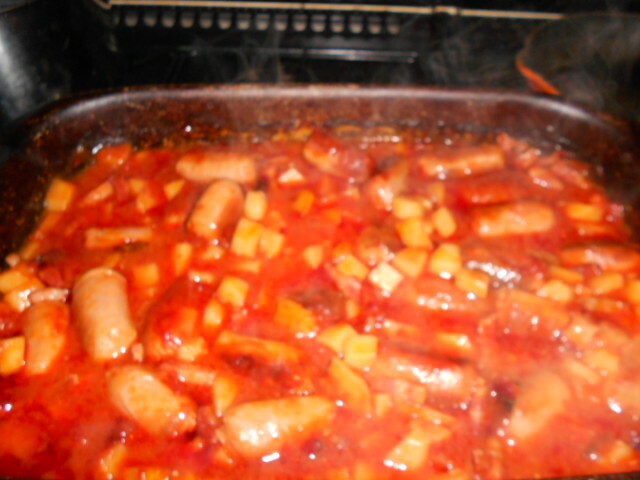 Cook for at least an hour allowing the potatoes to be soft and the mixture to have thickened into a delicious tomato sauce. If it starts to dry out add a little more water towards the end. Serve with vegetables of your choice. I chose broccoli to give a splash of colour, but beans would go. I have added eating apple to the dish which complements it. See what you think! The only reason my family didn’t help themselves to thirds and even fourths was it ran out. I am thinking of doubling up next time, but this would make a great kids meal if you are not sure how many youngsters you have to feed.